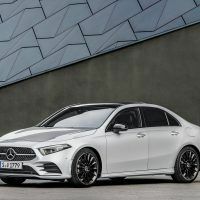 The 2019 Mercedes-Benz A-Class will come with a generous array of active safety features – in fact, it can drive semi-autonomously in certain conditions as it leverages technology from its grand daddy, the S-Class. 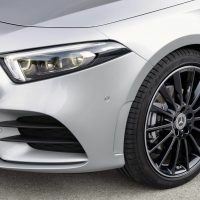 Yet, the A-Class has passive safety designs that are equally as important, being it’s the first Mercedes-Benz developed at the Technology Centre for Vehicle Safety. The body of the new A-Class – or its very DNA – has been subjected to extreme accident and collision testing. Thus, body shell components were developed with respect to load and stress capacity, geometry, material thickness, joining technology, and material quality; the latter meaning there is an increased proportion of high-strength and ultra-high-strength steel throughout the vehicle. The result is increased rigidity when subjected to an accident or collision. 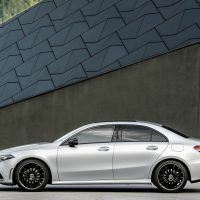 Mercedes-Benz is keen on four specific metrics here: The car’s length is 179.1 inches; width: 70.7 inches; height: 56.9 inches, and the 107.4-inch wheelbase. The significance of these numbers is available space inside. Small car? Yes. Cramped? No. Designers were deliberate in creating this effect inside the A-Class, evidenced in little ways, from the dashboard to the “free-standing cockpit” array. 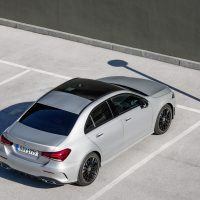 The “5th Dimension” (great music) of the A-Class is the trunk, to which Mercedes-Benz (despite touting it) does not give any exact measurements; just that is was designed with a large opening for the easy loading of big items. As an aside, a car’s trunk is always the fifth dimension. You never know what treasures have been left unattended in there. 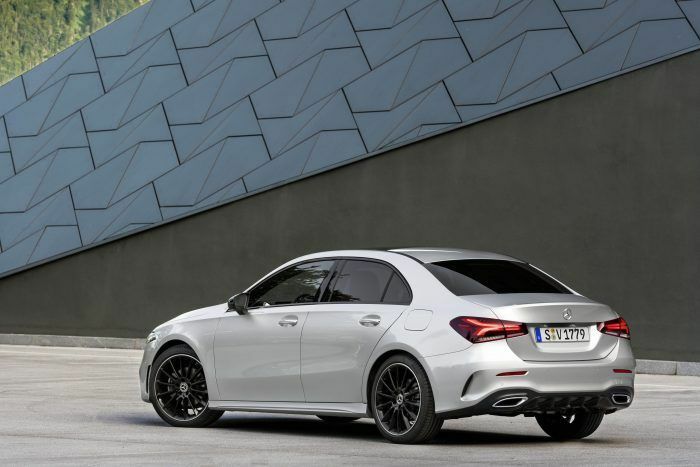 The lines between science fiction and compact car have blurred with the 2019 Mercedes-Benz A-Class. Take the new MBUX – or Mercedes-Benz User Experience system – for example. Sure, it has the main things off the bat: voice control and a touchscreen – that’s to be expected, but MBUX goes farther with Artificial Intelligence. 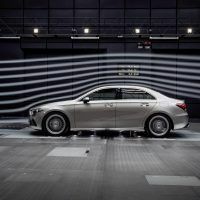 Mercedes-Benz says the system creates an emotional connection between the vehicle, driver, and passengers. 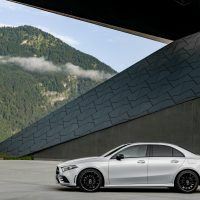 Again, Mercedes-Benz didn’t give us a lot of detail, but it seems drivers talk to the A-Class through natural speech recognition technology. For example, saying “Hey Mercedes” brings MBUX to life. 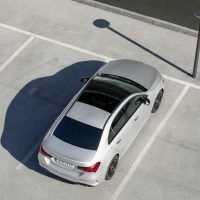 MBUX is also compatible with Car-to-X Communication, or the transmission of vital information to the A-Class from other vehicles or the surrounding infrastructure in the interest of keeping occupants safe. And finally, there are 64 colors of optional ambient lighting. Yes. 64. Pick one and throw on that old Stoned Soul Picnic record. Or the Homecoming record. Ventura Highway probably sounds pretty cool in the visual aroma of 64 different ambient lights. 2019 Mercedes-Benz A-Class interior layout. Photo: MBUSA. 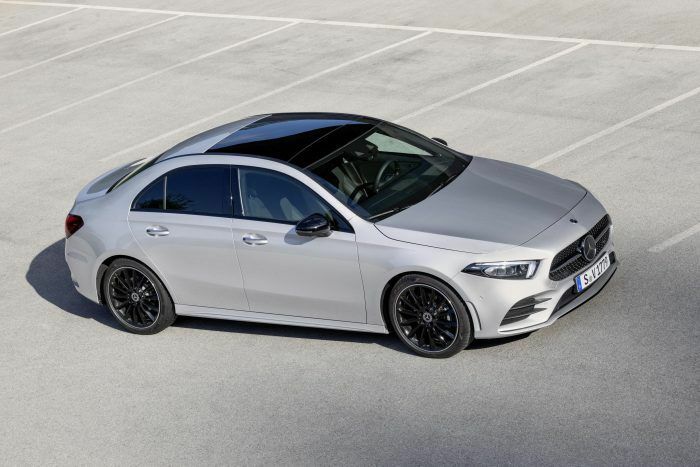 A-Class production will begin shortly in Aguascalientes in central Mexico with the Rastatt Plant in Germany joining in the manufacturing duties in 2019. 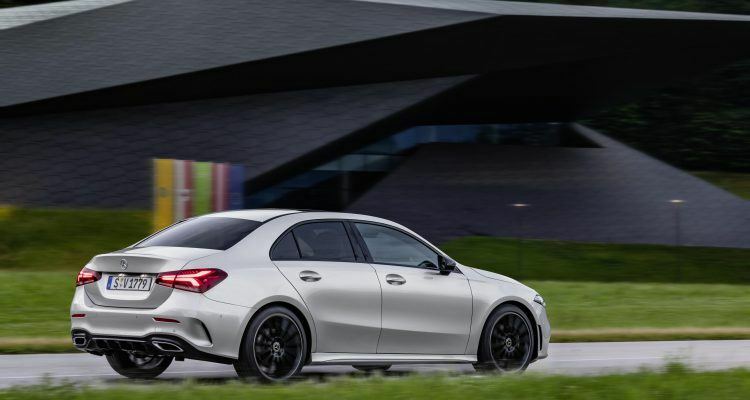 Expect the new A-Class in the United States later this year. 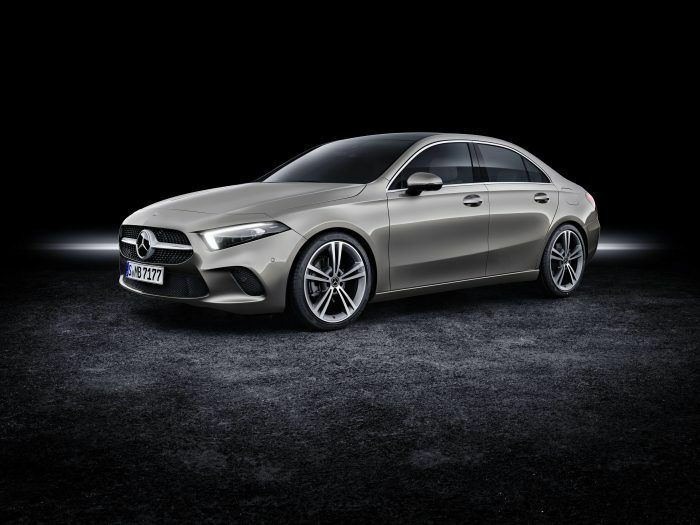 It seems like the A-Class would be a logical addition to the new subscription service Mercedes-Benz recently unveiled. 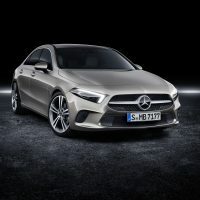 No Comments on "2019 Mercedes-Benz A-Class: Stoned Soul Picnics & Ventura Highways"